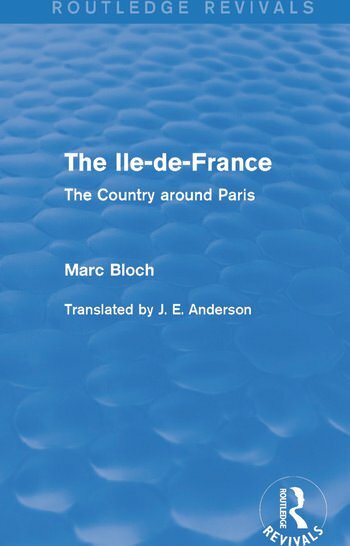 First published in English in 1971, The Ile-de-France presents the reader with a study of the countryside around Paris through the eyes of Marc Bloch, a man with his own view of history. It looks at the area’s origins, extent, geographical features, archaeology, and past local histories. The book extends beyond the region of Paris itself and offers the reader a masterful demonstration of the methodology of such enquiries and their purpose within the wider context of historical research. The work is particularly valuable in that it covers a wide variety of subjects and makes extensive use of archives and original documents.